peak oil content approximately six months later. Thus, the olives are harvested from November to March, after they have progressed in color from green to reddish violet to black. It is often necessary to harvest olives from the same trees several times in order to gather olives at the same stage of maturation. 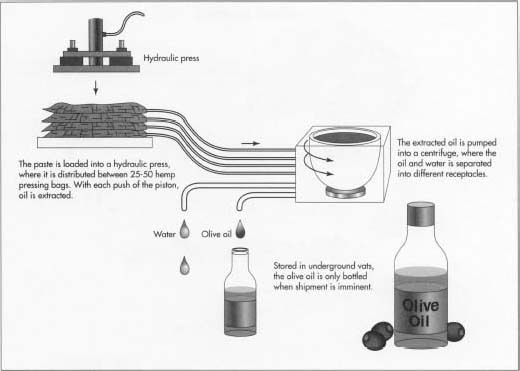 The only added ingredient in extra virgin olive oil is the warm water used to flush away the bittemess of the olives. 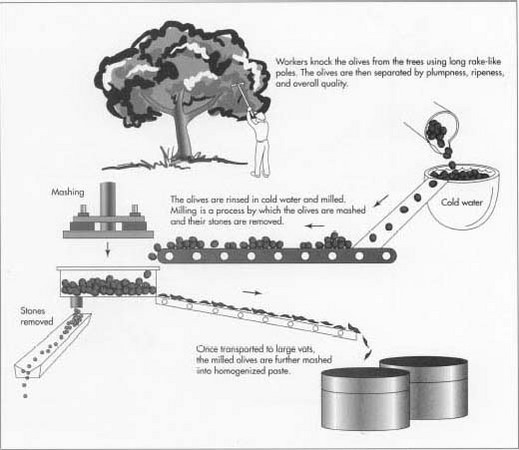 Can the waste pulp that remains after the pressing of the olives be used as fertilizer for the soil? Is it true that from the picking time to the beginning of the pressing of the olives not more than one hour can go by?